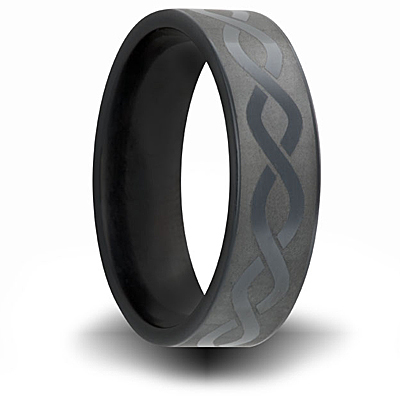 Solid black zirconium ring has a helix design all the way around the ring. Flat center. Pattern design laser etched in surface. Ring is 7mm wide. Made in USA. Comfort fit.